This may be the strangest whistle-blower case ever! No problem for John Grisham in plotting THE WHISTLER. Lawyers(of course), rogues, Indian Casinos, and Florida. A most worthy heroine pitted against a female corrupt judge. The Florida Panhandle becomes the perfect setting for crime and corruption with a whistle-blower protected by tiers of wannabes in on the action of a big, big payout. That’s enough from me. No one tells this tale better than Grisham. Pair up with Grisham’s Camino Island ( see gordonsgoodreads.com) and you can cover half the state of Florida and be off with two great fun summer reads. Prescient is my favorite description of Mark Greaney, Jack Ryan/ Tom Clancy novels. TRUE FAITH AND ALLEGIANCE , although written in 2016 , speaks to 2017 cyber theft, the ISIS crisis, Saudi hidden agendas and terrorism inside the United States. The book can only be described as another Greaney, Clancy page by page gripping thriller. The entire Hendley Associates and White House cast is present and even if you have not read the majority of this series, TRUE FAITH AND ALLEGIANCE can work as a stand alone. It is not summer yet but put this one on your reading list. It will not disappoint. You can find overviews of the majority of the Tom Clancy series here at gordonsgoodreads.com. GRISHAM BACK TO BACK-NOT EVEN SUMMER YET! Now I am up to date on John Grisham and have met his new heroine. I like Samantha and I hope we hear more from her. With Grisham it only takes a paragraph and you get the picture. ” Keely, the thirteen- year- old eased into the chair. She managed a gap toothed smile, more fitting for a ten-year-old. My Daddy liked you a lot, she said. Will you hold my hand? she asked. My Daddy said you were the only lawyer brave enough to fight the coal companies. You’re gonna stay and help us, aren’t you miss Sam? It gets better and better with the turn of each page. 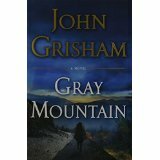 Gray Mountain begs for a sequel. I join the millions of readers who are fans of author Jeannette Walls. Amazingly, her memoir The Glass Castle , first published in 2005 remains on the New York Times Best Seller List eight years after its initial publication! Walls also authored best selling Half Broke Horses, a memoir of her grandmother Lily Casey Smith. Her new book, The Silver Star, will likely not reach the status of either The Glass Castle or Half Broke Horses but it certainly qualifies as a good read, easily accomplished in two or three sittings. In some ways, similar to The Glass Castle, Walls weaves a story of a dysfunctional mother, acting more like a sibling as opposed to an adult role model. The main characters, two sisters ages 12 and 15 are essentially left on their own as their mother pursues a constant parade of greener pastures and purported life changing opportunities. When mom is present, the lifestyle is at best nomadic and always chaotic. The silver lining in this story comes at the hands of a distant uncle who despite his “old fashion” views creates a safety net for the girls and brings a sense of stability for the first time in their lives. The book’s title Silver Star beckons the discovery of an unanswered question. 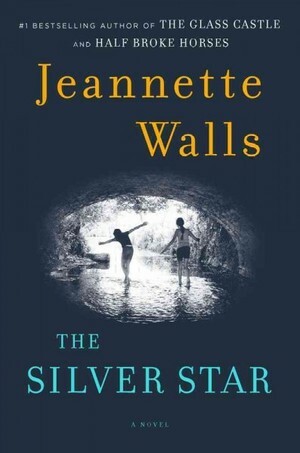 While The Silver Star is not a memoir, Jeannette Walls fills these pages with her life experience of making the best of an imperfect world.